The fat lady has sung at THQ. After years of near misses, the company that was at one time the industry’s third largest publisher is being sold for parts. 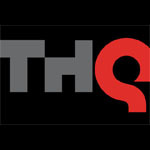 THQ has a lot of haters in the game world, with plenty of people pointing fingers of blame at the company’s management, expansion philosophy and business methods. But any time a publisher is forced to close its doors – especially when it has titles on the near horizon that seem to have so much potential – it’s sad.